“And in the same region there were shepherds out in the field, keeping watch over their flock by night. To fully grasp the nuances of this passage, we 21st-century readers must don first-century glasses. Despite the fact that some of Israel’s greatest leaders were shepherds (Jacob, Moses, David), both the Mishnah and the Talmud (the collections of Rabbinic law) teach us this: shepherding was a despised profession. Those deemed worthless by society were the ones shown the glory of the Lord as the announcement was made and a praise and worship service broke out in the sky, while they were keeping watch over their flock out in the field. From this first century perspective, we now travel further back in time to get an even bigger view of what God was doing with his story, er history. A millennium and a half before this night, God had rescued his people from Egyptian slavery. After nine plagues that only served to harden Pharaoh’s heart, the final deliverance from Egypt instituted the Passover. Each Israelite family followed God’s instructions to slaughter an unblemished male lamb and paint its blood on the wooden doorpost. When the death angel passed through the land that night, the firstborn of every Egyptian family died. The Hebrew firstborn — safely behind the blood of the Passover lamb — lived. 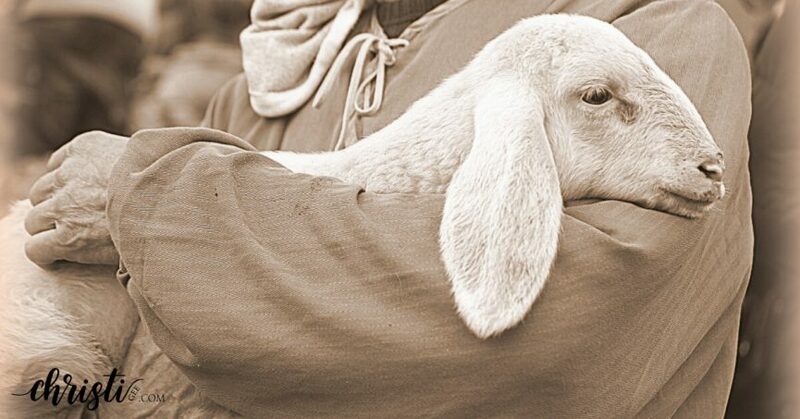 That baby would grow up to live an unblemished life and call himself the good shepherd, noting that a good one lays down his life for his sheep. He would be despised and rejected, hanging out with those whom society considered unworthy. And one day, he would carry a wooden cross — painted with his blood — to Calvary at Passover time. to die for the sins of the world so that all the lowly of this earth would be invited into eternal life. And whom did God send to welcome him into the world? Those who made their living tending to the lambs destined for slaughter. Did they know the significance of their visit? But on this side of history, we do. Watch this short trailer all the way to the end. Let the final question sit with you a minute when it’s over.